There is growing frustration among retailers about Black Friday. This is most notable in the fashion industry, because of a consumer tendency to purchase several items of clothing at a discounted price, try the clothes on at home, then return 14 of the 15 pieces to the store. Because of these frustrations, several retailers in the U.K. have chosen to forego the sales holiday this year. And since some evidence suggest that consumer trust in the holiday is declining, it might seem like Black Friday is a passing fad. So why should retailers continue participating in Black Friday? 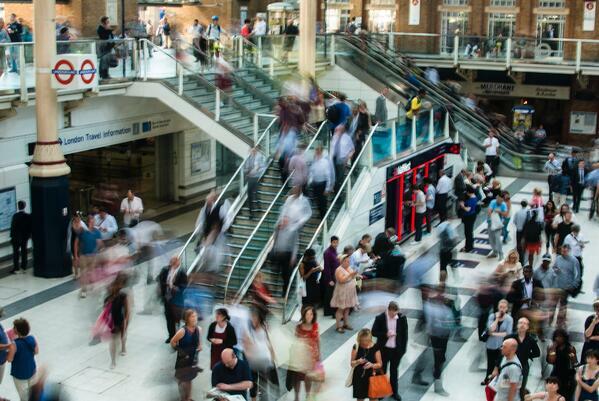 The reality is that the psychological impact of Black Friday on consumers is enormous. One of the most significant benefits of this holiday for retailers is the fact that consumers are primed - and ready - to purchase. McKinsey reported that over 70% of consumers in the U.S., Canada, U.K., and Germany are planning on participating in Black Friday this year. And in the Netherlands, the number of searches for “Black Friday” has increased from roughly 250,000 to almost 1,000,000 in the span of 3 years, according to BlackFridayDeals.nu. Those are high numbers, and retailers would be ill-advised to dismiss these consumers who are ready to spend. 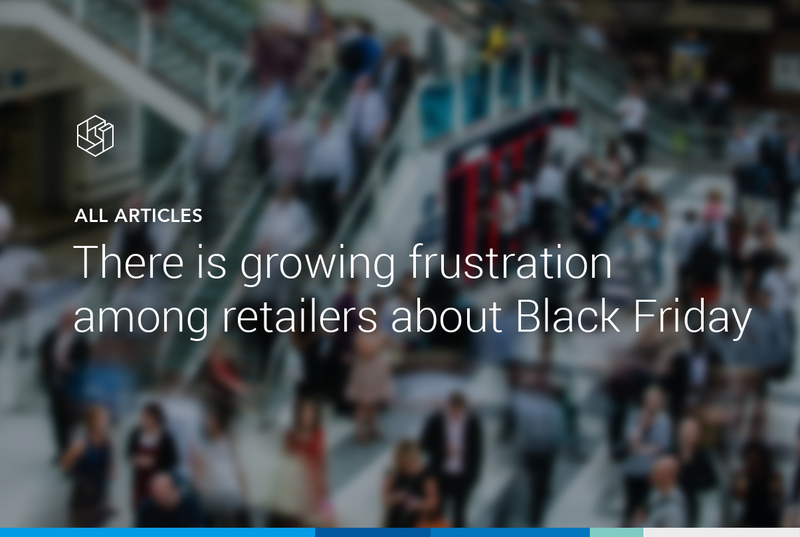 Instead of avoiding the holiday because of the frustration and lackluster sales, retailers should look at how they can optimize their pricing and marketing strategies to capture the increased consumer desire for Black Friday deals. In fact, many of the frustrations that retailers voice over the holiday are easy to counteract with a smart pricing strategy. If retailers should participate in Black Friday, how do they make the holiday work for them? In this section, we’ll detail four steps to take to make the hype around the holiday do the hard work of attracting ready buyers to your website while maximizing your profitability. Black Friday is largely a day about price perception. As a result, your promotional strategy for the day should reflect your overall commercial strategy. 1. Do I want to do promotions? Depending on your corporate strategy, you might not want to participate as heavily in Black Friday as other organizations might. If your overall commercial strategy is to be seen as a premium retailer, then you might not want to compete across your entire store with companies that pride themselves on always having lower prices. A great example of this (though not related to Black Friday) is the Dutch retailer de Bijenkorf. For many years they had an extremely successful promotional sale called “Drie Dwaze Dagen” (“Three Crazy Days”) - three days of steep discounts across the assortment. However, a few years ago the company changed their corporate strategy. They wanted to cultivate a more prestigious price perception among consumers. So the Bijenkorf got rid of Drie Dwaze Dagen, despite its popularity and success. The lesson: if steep discounts don’t align with your overall commercial strategy, don’t waste time trying to compete with companies that will discount on everything. Instead, you need to be more strategic, which brings us to Question 2. 2. Which assortments will you discount...and by how much? Since Black Friday is all about price perception, you need to be smart about which products you discount. And even though many consumers will participate, many are also questioning whether or not they are actually receiving the best deal. That’s because in many cases, they aren’t. A recent article from the Telegraph pointed out that for nine out of top 10 product categories, there were lower prices on other days of the year. This isn’t because retailers are trying to “rip off” consumers. Instead, it’s because they don’t have the proper data to know whether a product’s price was lower in the last month than what they advertise on Black Friday. Historical pricing data gives you the insights you need to decide which products you’ll discount and by how much. By understanding a product’s fluctuations over the course of three months across your competition, you can see who has offered the lowest price and then use that as a starting point from which to build your discount. This data then allows you to offer consumers some amazing discounts on great products while also optimizing your margins. Price elasticity measures the change in demand of a product with changes in price. Products can either be elastic, where a small change in price will lead to a great change in demand, or inelastic, where a small price change won’t significantly impact demand. The example we like to use at Omnia to illustrate this idea is a TV and a TV wall mount. Televisions are highly elastic products, and a discount on a TV will typically result in increased sales. A small change in price on a wall mount, however, won’t see the demand change. Price elasticity is a powerful tool to use on Black Friday, especially if you combine it with a high-runner strategy, where you discount heavily on a few popular items to draw traffic to your site then price the rest of your assortment regularly. Once you have traffic on your site, you can then cross- and upsell more effectively and drive profitability - all without discounting your entire assortment. Though the vast majority of consumers plan to participate in Black Friday online, retailers shouldn’t forget about the omnichannel experience. According to the previously-mentioned McKinsey report, roughly one-third of all consumers across the U.S., Canada, the U.K., and Germany will expect some online retailers to also have in-store offers. Amazon is already capitalizing on this by opening up several “pop up” stores around Europe this holiday season. This is especially true for fashion retailers where consumers prefer to test the product before buying. For example, you might research a pair of running shoes online and know exactly which pair you want to buy, but you’ll make your final purchase in-store after trying the shoe on to find the right size. The increasing influence of the “ROPO Effect” (“Research Online, Purchase Offline”) means retailers need to think about how to measure sales across both channels. Finally, one of the easiest ways to make Black Friday work for you is to use a dynamic pricing software. Focus Black Friday on strategy, not on manually chasing and adjusting prices throughout the day. Analyze historical data to evaluate which products you’ll discount and by how much. Track and optimize your online marketing. Reduce the manual labor involved in pricing and marketing. It’s also the best thing to prevent a pricing war to the bottom. Dynamic Pricing allows you to set limits based on your commercial strategy, so your products will never go below a comfortable level. Black Friday is a day all about price perception. Retailers should use it as an opportunity to reinforce their overall commercial strategy through calculated promotion discounts on key products, not arbitrary price slashes on an entire assortment. There are ways to achieve these goals without the help of pricing software. But the reality is that a software like Omnia can make life significantly easier for your team to track prices over time and on the day itself. Interested in learning more about how Omnia can help improve your holiday pricing and marketing strategies? Sign up for a demo below to get in touch with one of our consultants.